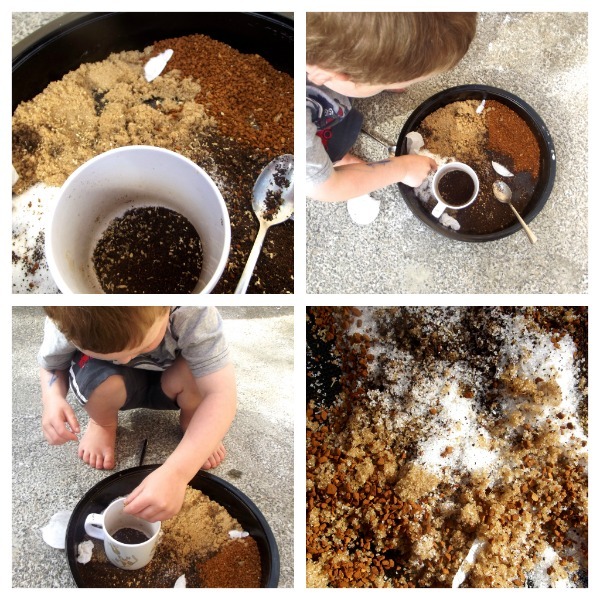 This was another activity we had pinned to our 5 Days of Play Board on Pinterest. It came from the Indoor/Outdoor Cafe that Famiglia & Seoul did on their fantastic blog! 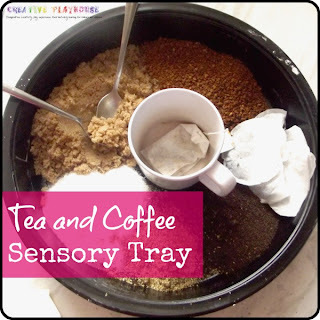 I filled a tray with coffee granules (beans would be amazing too, but I didn't have any unfortunately), brown and white sugar (as they have a really different texture), tea bags, tea leaves from inside the bag, herbal tea (it was lemon and ginger), a cup and some teaspoons. It smelt gorgeous! 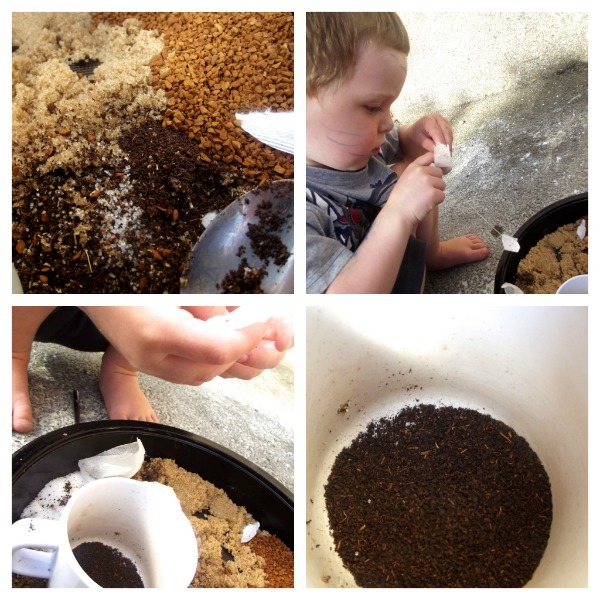 I didn't give Jake any direction; he just began scooping and pouring the various granules into the cup, stirring it around, opening the tea bags (I had snipped the top off some), and smelling it all. Emptying the teabags and trying to fill them back up again was probably his favourite thing to do; he especially liked the tea bag on a string! "Its like fishing!". I asked if I could play too, as it looked so inviting! He obliged, haha, but told me not to drink any! 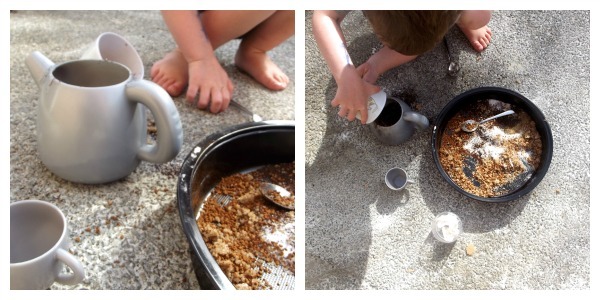 Inevitably he went and found his kettle and tea cups and then asked me for water (MESS alert!) and began pouring tea for us all. 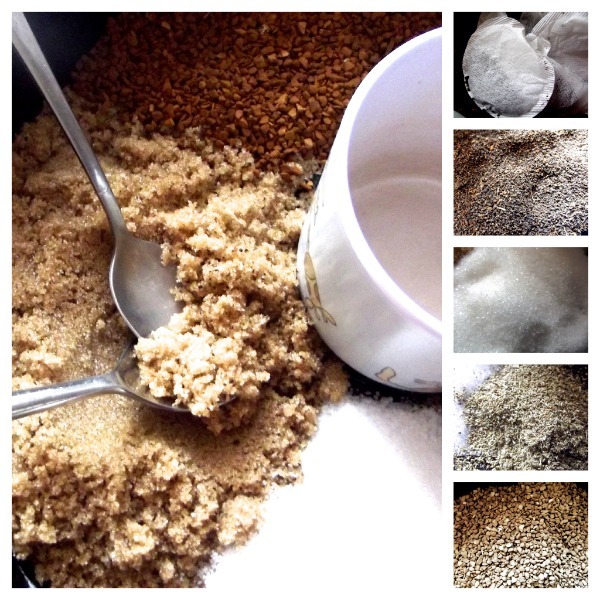 I found it interesting that he put some coffee in, then added a bit of sugar! Its amazing what these little people absorb just being at home! 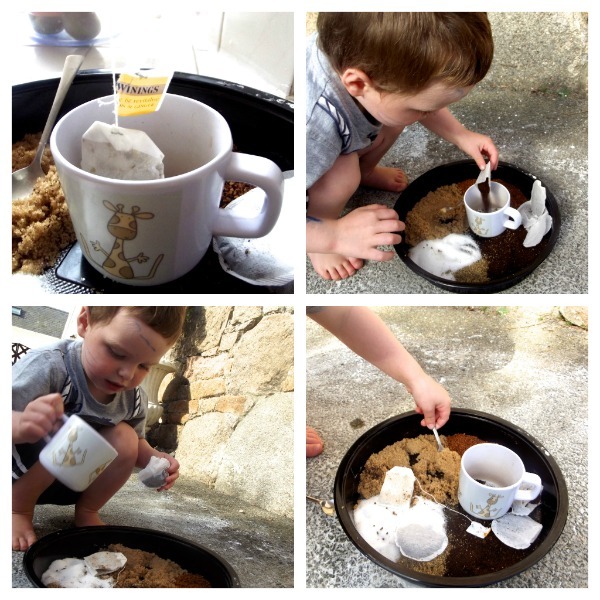 A lovely, imaginative and sensory activity, that we can do again and again. Quick set up, hardly any mess, and easy to get ingredients. Have a go! I can almost smell this sensory tray! Love your pics. So glad that your little guy had fun with this! I love all of the items and textures that you added to your tray. Makes me want to try it again with G! Oh, I absolutely love this, Kat! Look how focused he is! What a wonderful sensory experience. Thanks for sharing today! Pinning this one to my SENSORY PLAY board.